Relaxing in a luxurious hot tub is a great way to combat the frigid temperatures of winter. 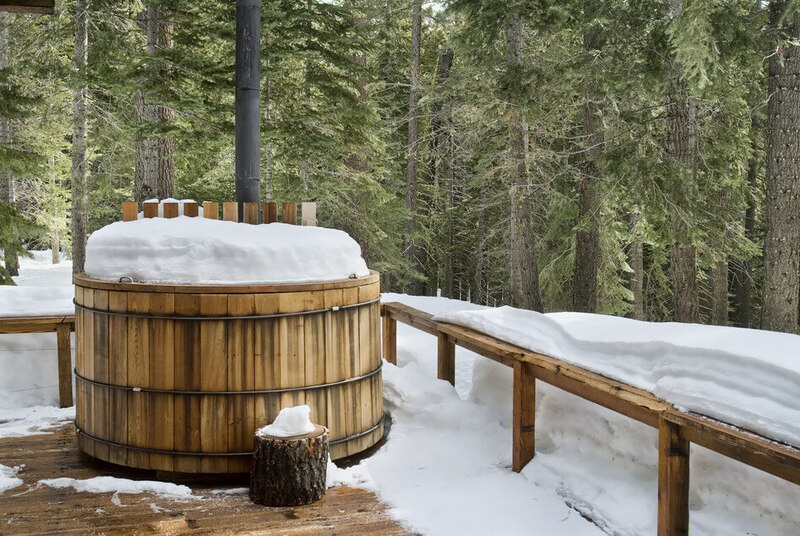 We all prepare for winter in various ways, but if you want to enjoy your hot tub during the upcoming cold winter months here’s how to make sure it’s ready for the winter. If it’s been between 6 to 8 months since you’ve last drained tub, fall is a good time to take care of that before the freezing temperatures set it. To clean your hot tub there are two courses of action. 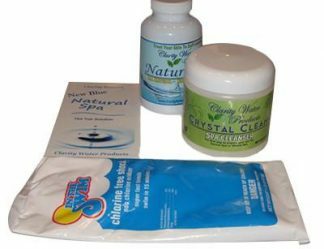 Since you are already a user of our product you will not need to use Crystal Clean again. To clean your hot tub, we recommend adding approximately 2oz of Cascade Dishwasher detergent for every 100 gallons of water in your hot tub. Run the jets on high several times during the next 4 hours. Then drain your hot tub. 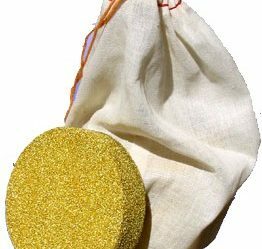 This will get the hot tub sparkling clean inside and out. 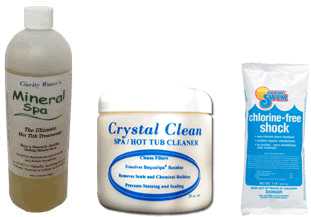 So you’re ready to get your hot tub converted over from a total chlorine or bromine treatment to our products. 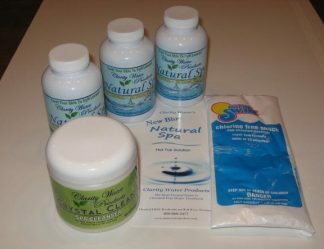 You will need to purchase one of our Non-Chlorine Hot Tub Start Up Kits. 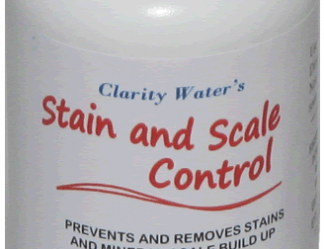 The kit will include our citric acid cleaner, Crystal Clean. 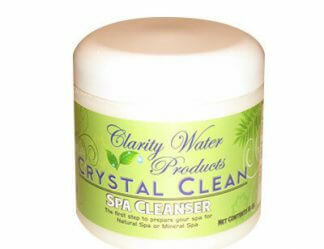 Add the bottle of crystal clean to the existing water in your hot tub and let it circulate for about 3 days. 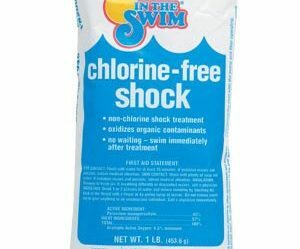 This will clean your hot tub and remove any chlorine or bromine build up from your hot tubs plumbing and heating system. 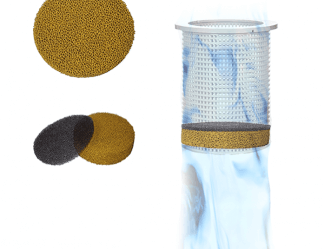 After the 3 days and no more than 6 days drain your hot tub and rinse off your filter with a high pressure hose. Scrub as many parts of the hot tub as possible, both inside the tub and out. 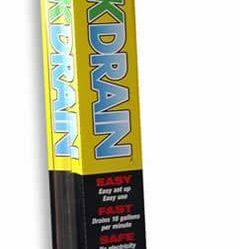 It’s especially vital to ensure that the vents and drains are thoroughly washed since these will be very difficult to clean in winter. It’s also a good time to get the underside of your hot tub cover clean of algae and mold growth. You can use a spray bottle with a water bleach mixture to spray on the underside of the cover. Now that everything has been washed refill the tub with fresh water. Take the time out to check for leaks while the tub is filling. Repairing leaks and other issues in the tub is much easier in fall weather. Once you have the hot tub full set the heater for the appropriate temperature, typically, 102°F to 104°F. Next you’ll need to shock the new water in your hot tub. Do this by adding 3 ounces of plain Clorox bleach (not the splashless or perfumed versions) for every 100 gallons of water in your hot tub to get the water as clean as possible. 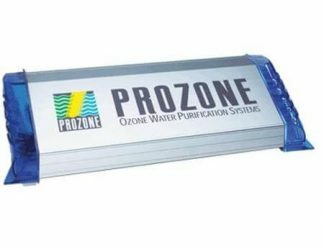 This will remove any algae or mold spores from your water as well as remove the chloramines present in municipal water. 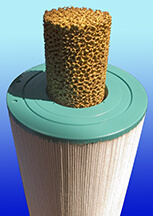 During this time, you can clean your filter as well. Place your filter in a 5-gallon bucket of water and add one cup Clorox bleach allow it to soak for a day and then install the filter back into your hot tub. After 48 hours you should not be able to smell the bleach anymore in your hot tub. If that is not the case, simply wait another 24 hours until you can no longer smell the bleach. 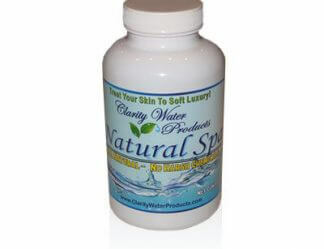 Once you can no longer smell the bleach you can add either natural spa or mineral spa in the amounts appropriate to your hot tub size (see the instructions included with your product). At this point you can use your hot tub, but you still have a few steps that you should complete before the winter. In order to ensure that the hot tub doesn’t freeze, you’ll need to set the temperature fairly high. We recommend between 100°F and 10 4°F. Any lower than this and it will be difficult to get your hot tub up to temperature before you use it in a reasonable time. Most hot tub controllers have a freeze level protection setting. This setting is typically turned on by default. However, I recommend that you check to make sure that it is turned on. Here’s how freeze protection works. If for any reason your hot tub loses power and the thermostat resets to a lower temperature, freeze protection will kick in when power is restored to keep the water circulated as well as keep the temperature above freezing. Of course you should probably check on your hot tub on a regular basis especially during freezing weather so as not to count on this freeze protection system. Also, keeping in mind that freeze protection will not work if the hot tub remains without power for an extended period of time. A good insulating cover can save you a lot of money on heating costs, but they don’t last forever. Check the cover each time that you’re about to place it over the tub. If the insulating cover has any cracks or tears, cold air can easily come through the cover and freeze the water. Some minor damages can be patched, but if the cover has any major problems you should replace it. An extremely heavy cover is an indication that the cover is waterlogged. Waterlogged covers provide minimal insulation value not to mention a sore back and should be replaced. Personally, winter is the most enjoyable time to use my hot tub. There’s nothing that feels better than sitting in 104°F while the snow is falling.